Clarence Dock is the main conference accommodation this year. 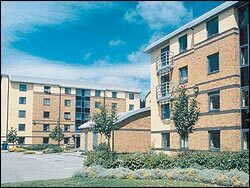 It is a University Hall of Residence, situated on the banks of the River Aire, near the Royal Armouries museum; a short walk from the City Centre. A continental breakfast is included in the rate. A regular bus services runs from the front of the Hall to the University campus where the conference takes place. The bus ride takes about 10 minutes, or it is a half-hour walk through the city. All rooms are single en-suite. 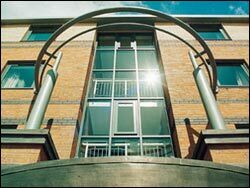 All bookings for accommodation at Clarence Dock must be made through the UKUUG Office as soon as possible. We cannot guarantee availability after 7th June.